The 4th Annual Supersonic Show! I like what Zach Tutor is doing over at supersonicart.com. I was first turned on to Supersonic Art via the folks at Spoke Art, which was via Hi-Fructose, which was via the Modern Eden Gallery(you see how these things all fit together?). His blog is extremely well-curated. You should go subscribe to it if you have not yet. The invitational show is very prestigious, even if only for the artists he is able to grab for it. Look at the line-up and drool, I sure did. I feel like this show puts me way up on the ladder, so I am incredibly happy and grateful for the opportunity to be put in this show. This is my humble piece for the show. 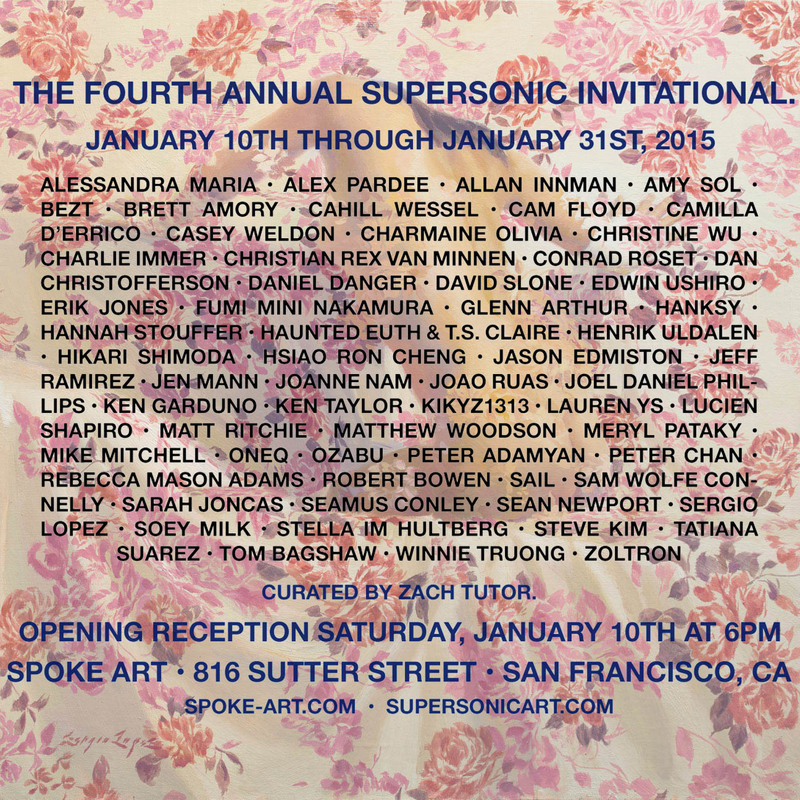 The reception is Saturday January 10th at Spoke Art in San Francisco. You shouldn't need my invite, I mean, look what's showing there. But hey just in case, here is the necessary info you need to be able to attend. Link to Facebook invite. Happy New Year! Hope I see you there!